After a few catchy singles and a long delay of gratification, Telegram has finally released their debut record. Operator is charged with phasers, vaguely evoking the music of Brian Eno. With such a long delay on this release, anticipation has built up along with its expectations. The album’s two singles, “Rule Number One” and “Follow,” also the two opening tracks, were released in 2013 and immediately got the blogs talking. However, upon the album’s release, it is now a bit underwhelming. 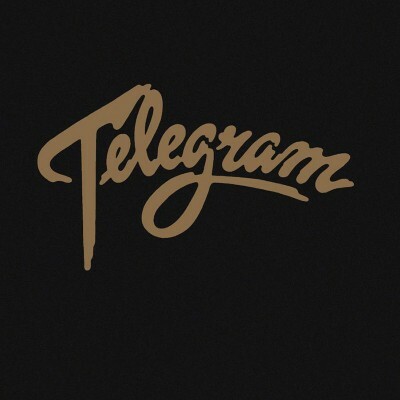 Telegram was praised for taking their time with the record—not quickly releasing material, but rather taking their time to work it out—but now it might be the case that they waited too long. Going through the tracks, they appear to be a little too thought out, with the sound engineers putting too big of a spin on the record. This is most recognizable when you compare the single to the studio release of “Aeons.” As a single in 2015, it was a blare of sound that captivated with a fast and exciting energy, but, on the album, it takes a step back and becomes more stylistic. Pauses on the track become more methodical and the added reverb on the vocals is considerably noticeable. However, that stands as a single aspect on the record. “Rule Number One” flares with distortion and moves with a mosh pit–inspired notion. It’s a great opening track that invites you into the record to sit down and experience punk music like never before. “Follow” follows with just as much excitement pushing the record’s peak with a chorus that is as catchy as it is powerful: “Today, today / There’s no time to delay.” From there, the record unfortunately doesn’t get much more exciting. Again, it’s unique and interesting, but the following tracks have a hard time keeping up with the two openers. “Aeons” as we know has been slowed and dumbed down, and tracks like “Under The Night Time” can’t overcome the singles’ expectations. It isn’t until “Taffy Come Home” that your ears start to perk up again. It blasts high-energy choruses with a melodramatic mood. It’s fun and exciting, but there is something in this song that is a little less ferocious than the others. Maybe it has something to do with the embodiment of the avant-garde style of rock brought to us by Roxy Music. It doesn’t attack as much as other tracks on the record and mainly relies on its uniquely spread song structure to do its work.